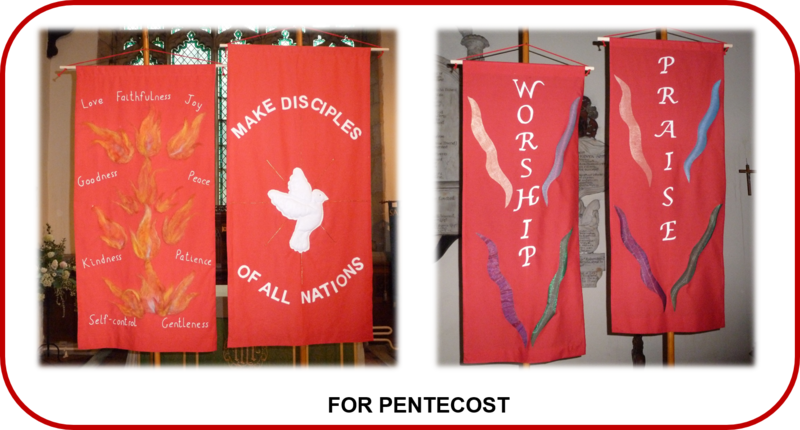 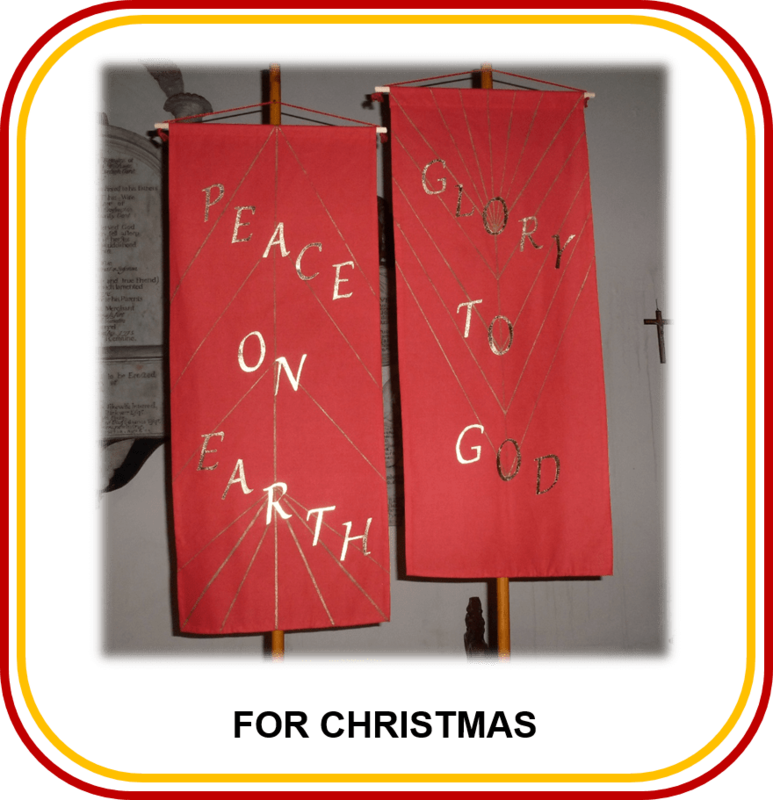 A selection of banners designed and created by the banner group that relate to differing church seasons. 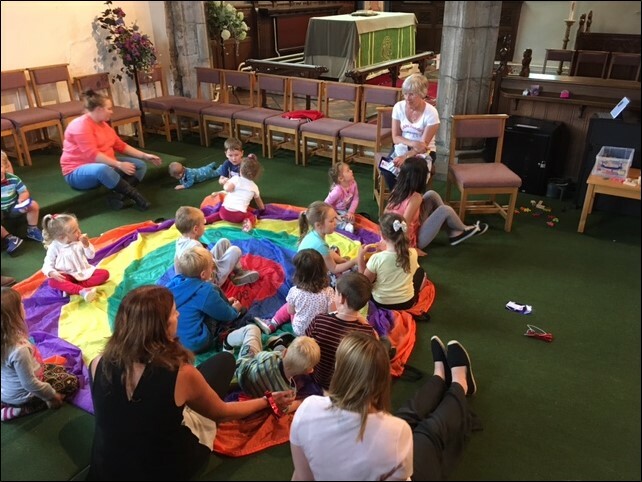 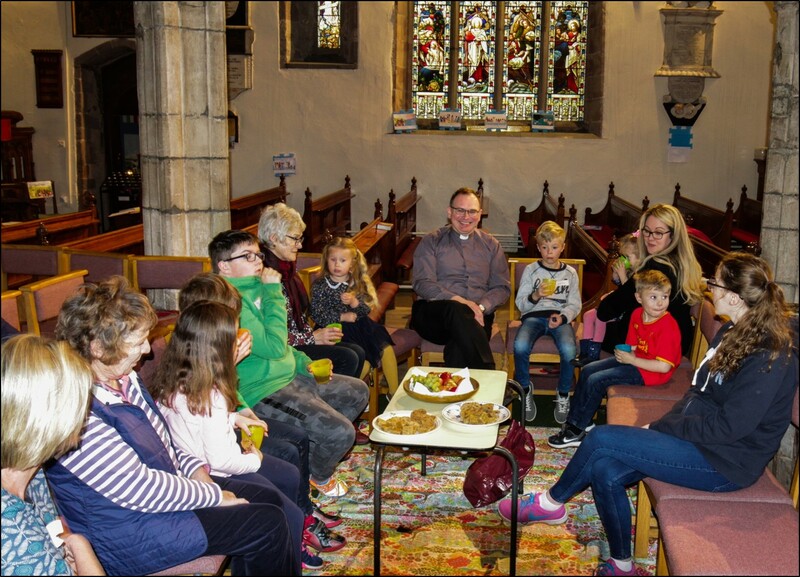 Story-telling by Father Michael during the Holy Week Club – Easter 2017. 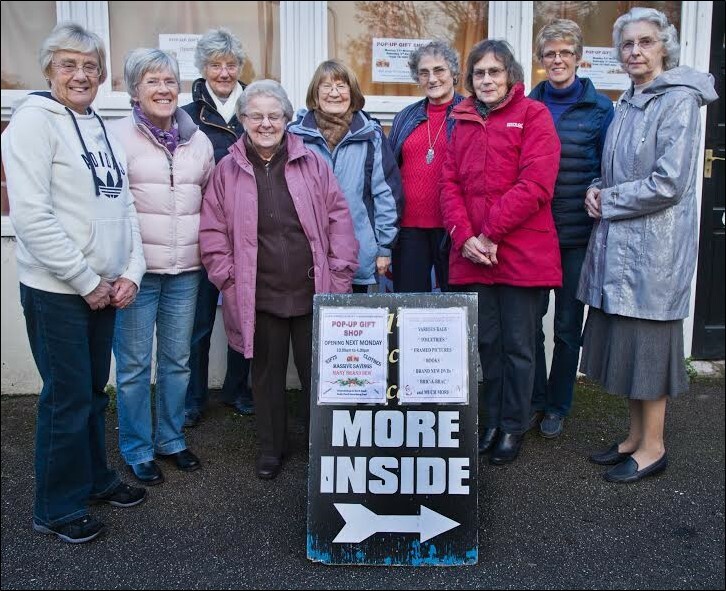 Members of the congregation who organised and managed the Pop-up-shop to raise funds for the church reordering project – November 2017. 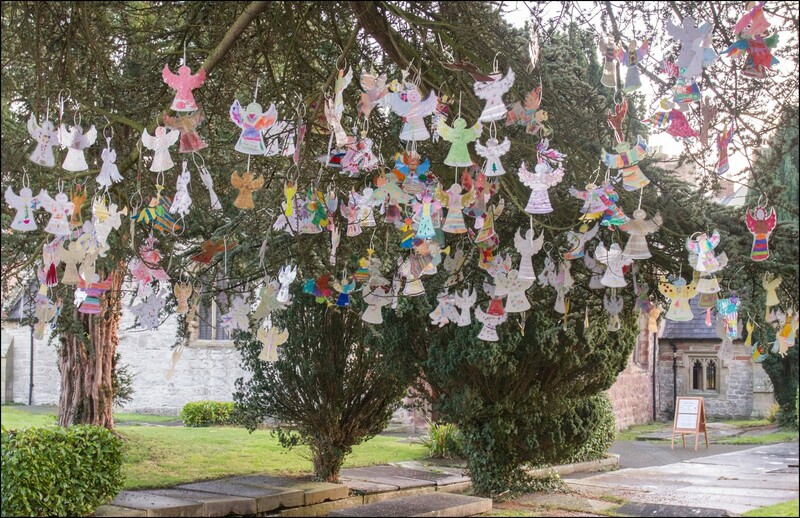 Hanging Angels on the churchyard trees. 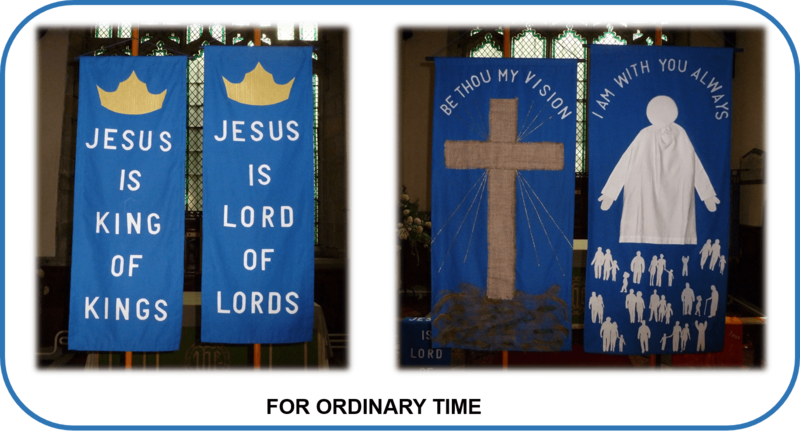 These were created by children of the St Asaph VP Infant School and Ysgol Esgob Morgan during the Christmas season of 2016. 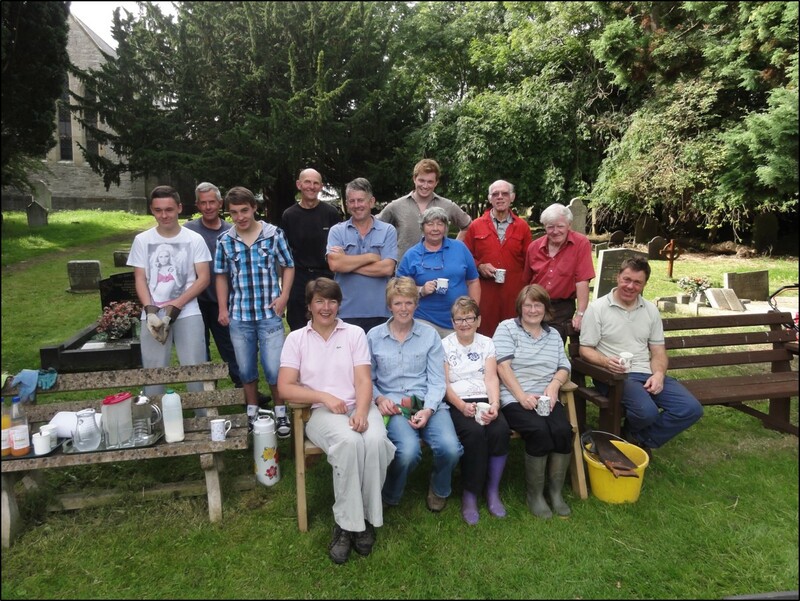 Members of the congregation and volunteers ably supervised by Dean Nigel, having a well deserved break during the regular maintenance work at the Mount Road cemetery. 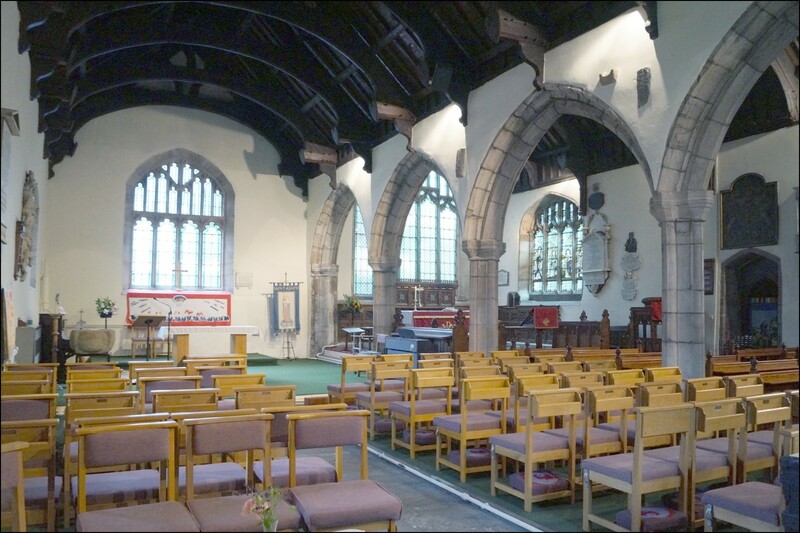 The north nave; a view from north-west to south-east. 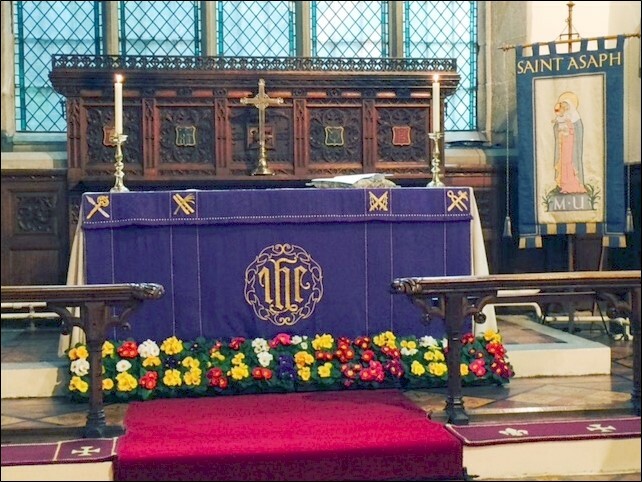 The altar during Mothering Sunday 2017. 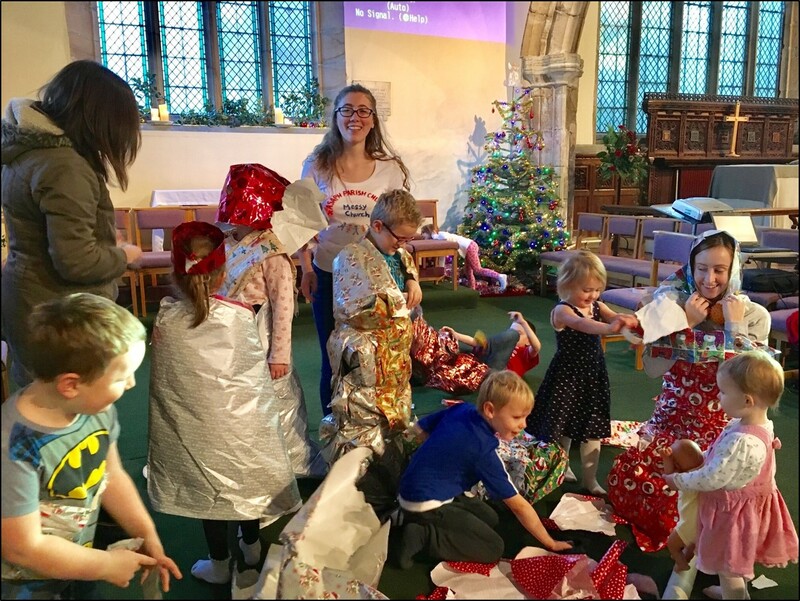 Following the service the flowers are handed to the mothers by their children, of whatever age. 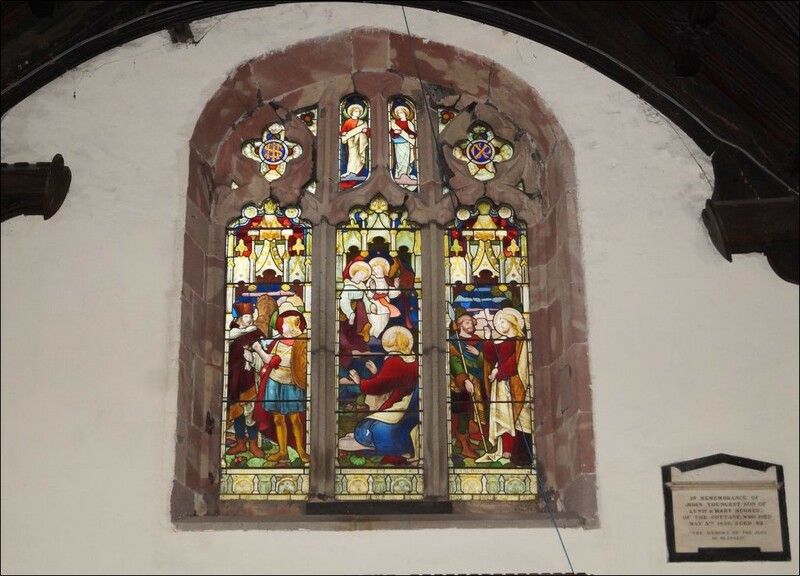 The 17th century Chancel window in the south wall. 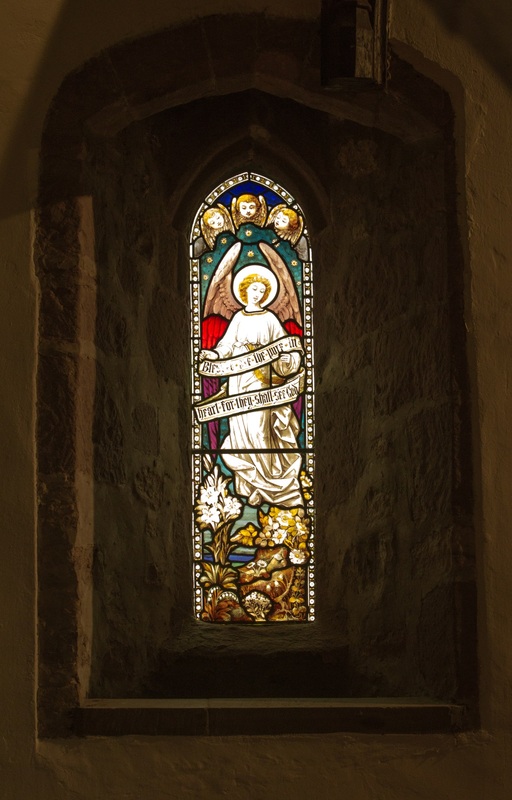 The stained-glass window of the west wall of the south nave. 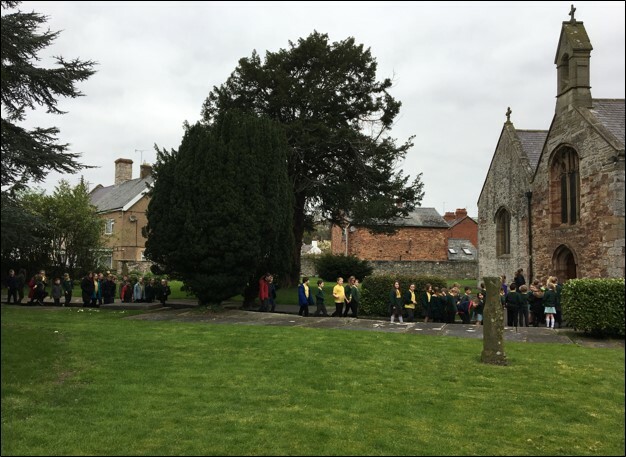 All the stained glass windows relate to the Victorian era. 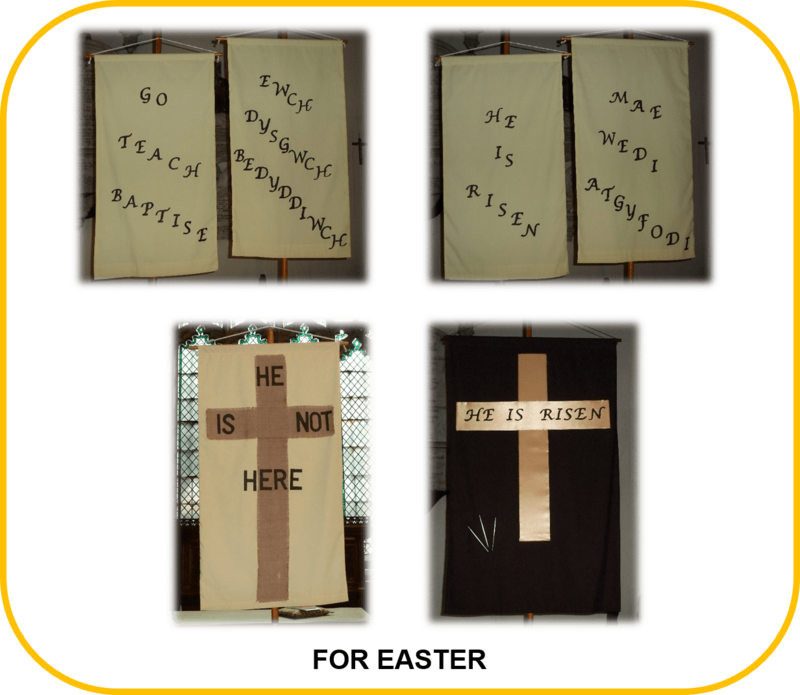 The eastern-most stained glass window to the south wall by C.E. 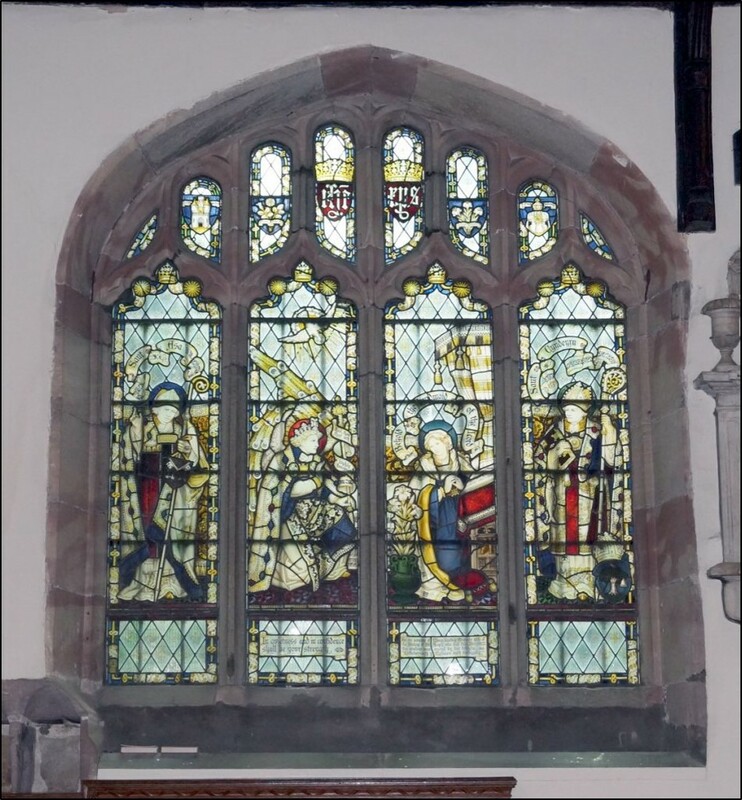 Kempe and Tower, and another by H. Hughes. 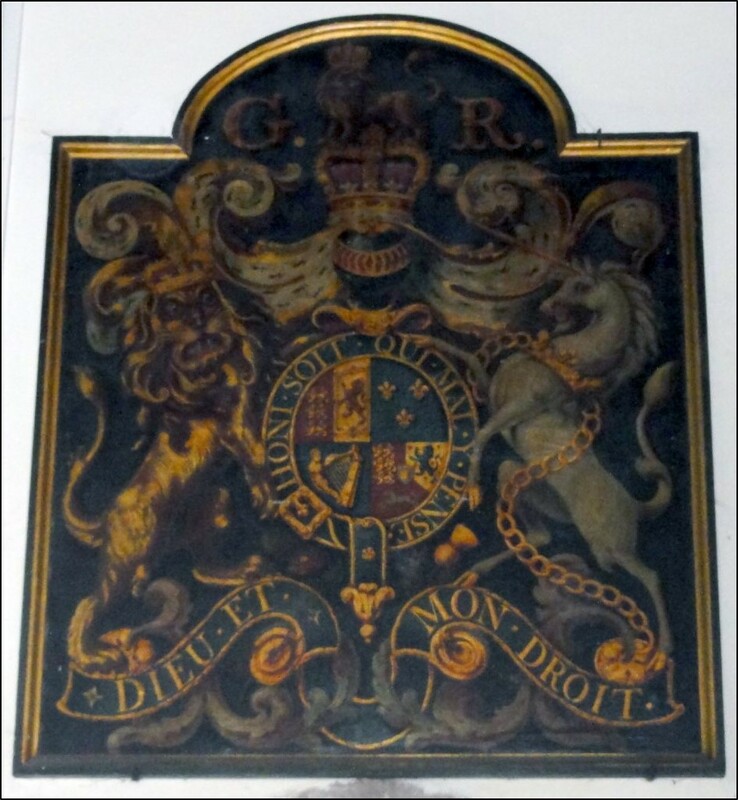 Hanoverian oil on panel coat of arms (possibly George III?) 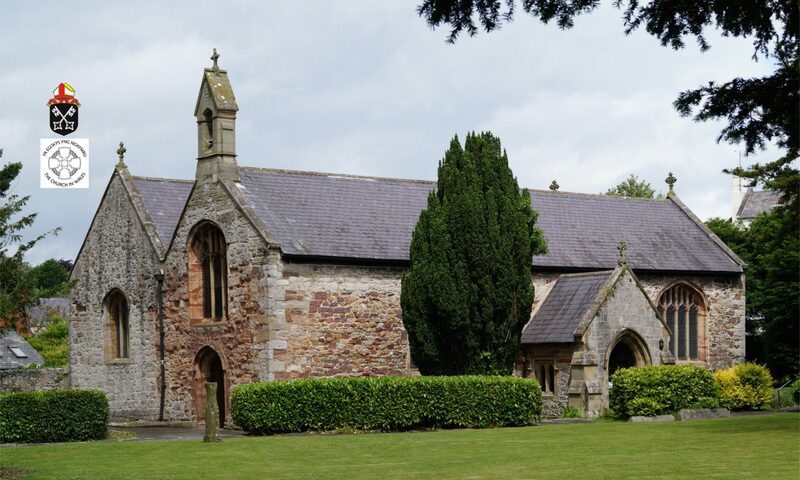 over the south doorway. 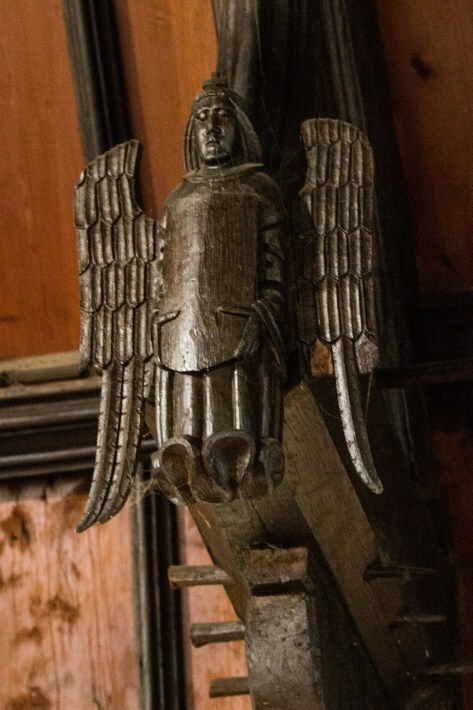 A fine timber carving attached to a section of the roof’s hammerbeam and brace in the south nave. 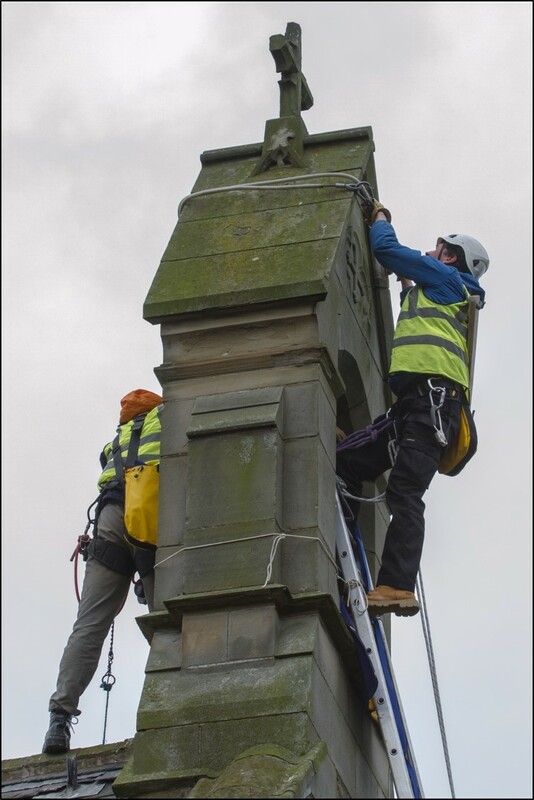 Workers of Skyline Ltd removing the church bell and mechanism for refurbishment and repair – April 2017. 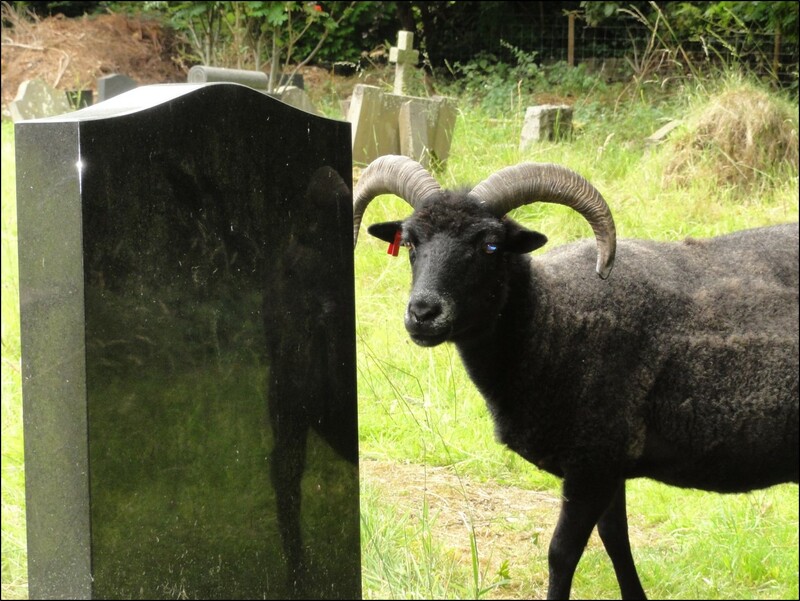 One of the Hebridean sheep who help to ‘maintain’ the ground-cover at the Mount Road cemetery. 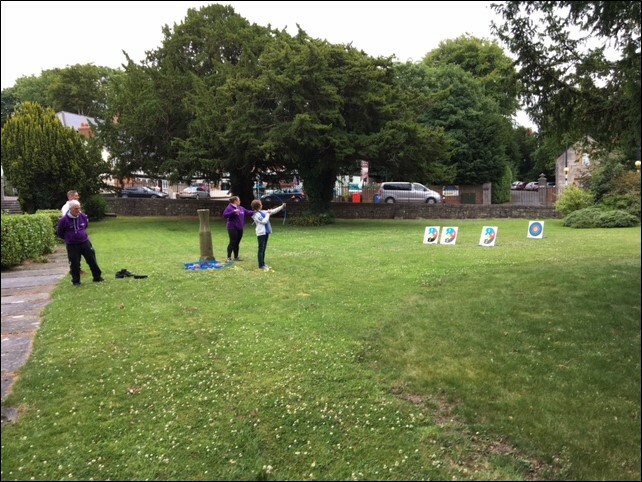 Archery practice and friendly competition in the churchyard during a Denbighshire Youth Club evening. 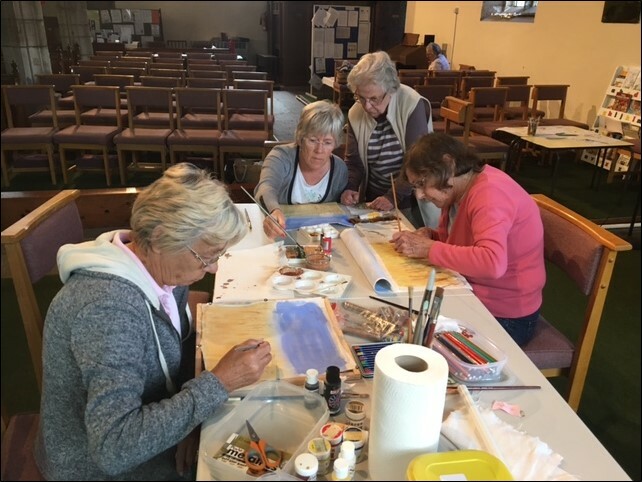 No, there is no danger to passing pedestrians or traffic as the ‘arrows’ are rubber-suctioned tipped and the event very well supervised.